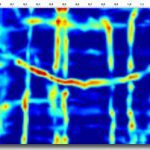 Ground Penetrating Radar (GPR) is the preferred non-destructive technique used for concrete scanning in today’s construction industry to safely locate targets embedded within the concrete elements prior to drilling, cutting or coring. Since our present construction site has becoming more complex and challenging with various hidden elements, it is important to have an accurate and reliable non-destructive method to locate all hazards prior to any modifications. Ground Penetrating Radar (GPR) is the essential tool for locating Rebar, Plastic and Metallic Conduit, Post-Tension Cables, Walker Duct, Radiant Tubes, Metal Q-Decks and many more. 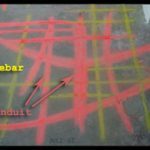 High-resolution GPR Grid Scan showing Rebar and Conduits in the slab. Markings of the Rebar (yellow) and Conduits (orange) on the concrete slab prior to cutting and coring. 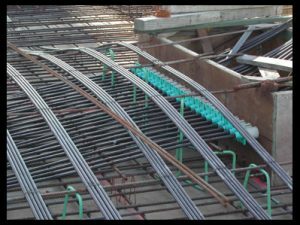 Post-Tension Cables is commonly used in today’s complex construction built. 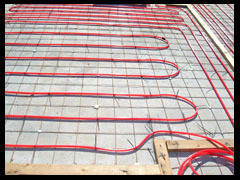 Gound Penetrating Radar (GPR) can determine the exact location of radiant heating tubes in the concrete prior to drilling, coring or cutting. 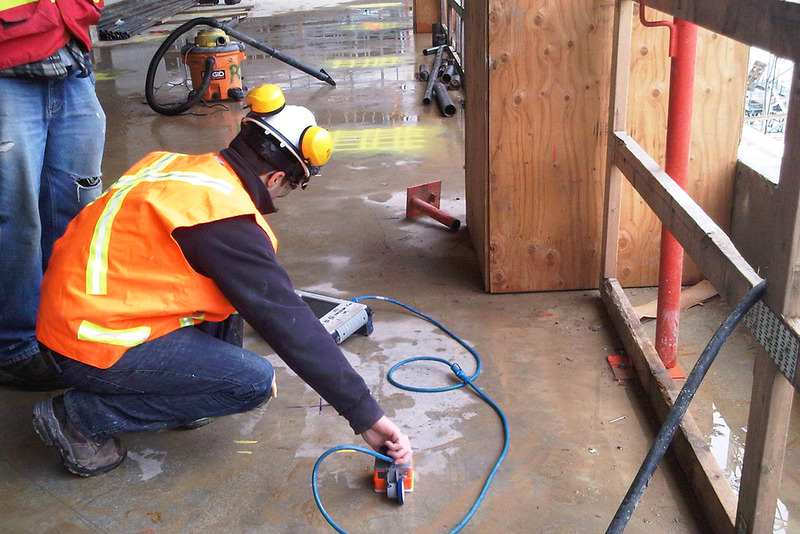 GPR can also be used as a non-destructive method to determine targets embedded within the Q-Deck structures. 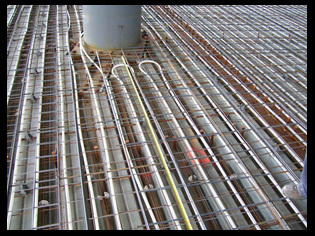 In this example, rebar, wire mesh and radiant heating pipes were layout on top of the metallic Q-Deck prior to pouring the concrete.